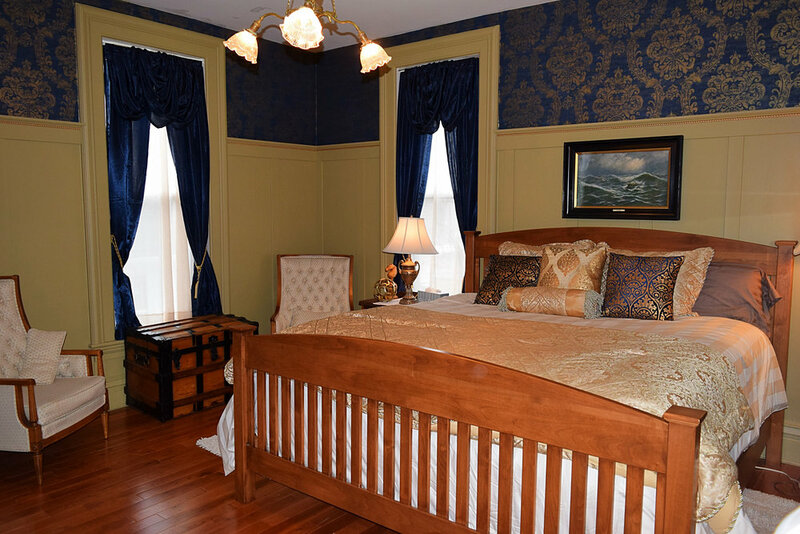 The Captain's Quarters has a king sized bed, hardwood flooring, board and batten detailing and the original parlor chandelier. 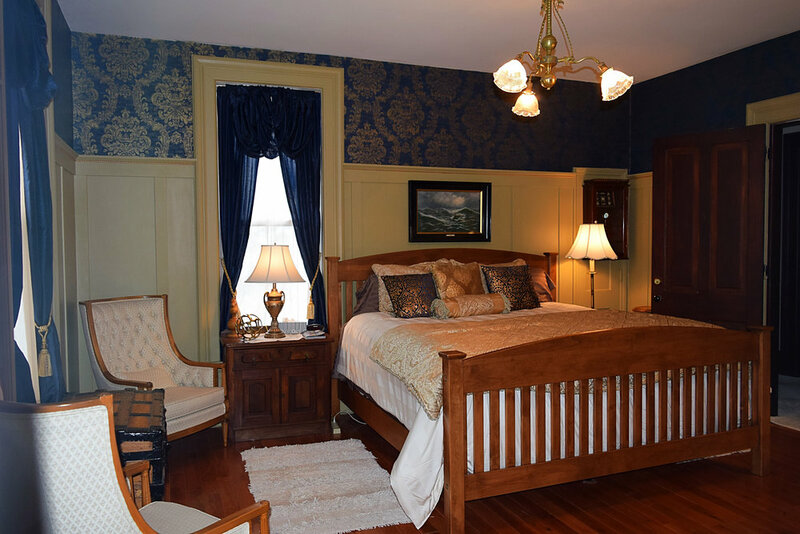 Having been restored and redecorated in 2016, this is the most regal of our guest rooms. 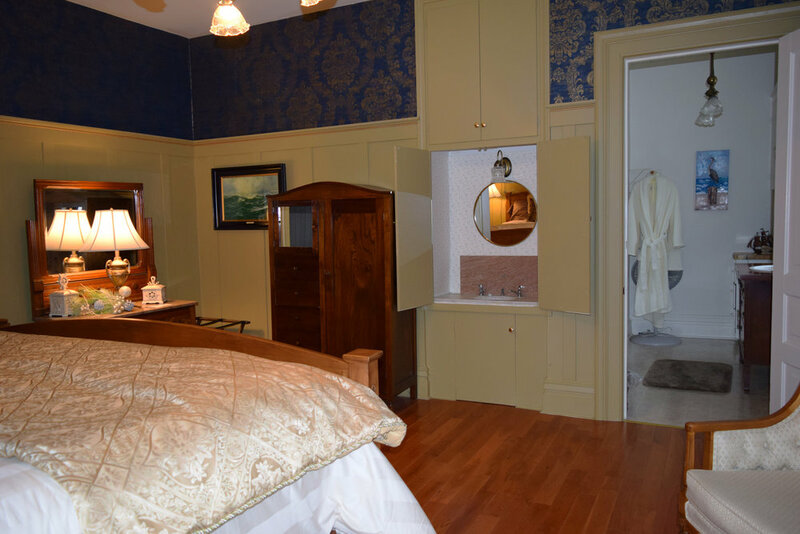 The Captain's Room has one of the original marble sinks and it boasts of a large private bathroom with the original foyer chandelier.